CHECK! 48 Great War Germans were painted this week completing the 262 Reserve Infantry Regiment. Then I got to thinking. When I originally planned this I did not make the German battalions the same size as the Canadian ones, and before game even rolled for losses during the “Week of Suffering” (the week of harassing bombardment previous to the assault) and I got thinking, if I’m not going to field entire full-strength battalions… and I’m going to remove a bunch more right away before the game starts… WHY THE HELL AM I PAINTING FULL-STRENGTH BATTALIONS for the Germans!? So I started to think about reorganizing and realized if I went with 10 man battalions – saying their smaller than the Canadian ones because a) the aforementioned “Week of Suffering” has depleted the units in the line, and b) the Canadians have all received fresh drafts of recruits to bring them to (or above!) strength! This way I will need only 45 more to finish the stuff I’d originally planned to for sure get done AND I could paint another 40 or so to do the assorted battalions that were rushed forward from the reserves to make counter attacks on the day. Which means I’ll end up painting about the same as I’d been thinking I’d have to do over the next few weeks. #2 Base and prep three more battalions to paint the following week. 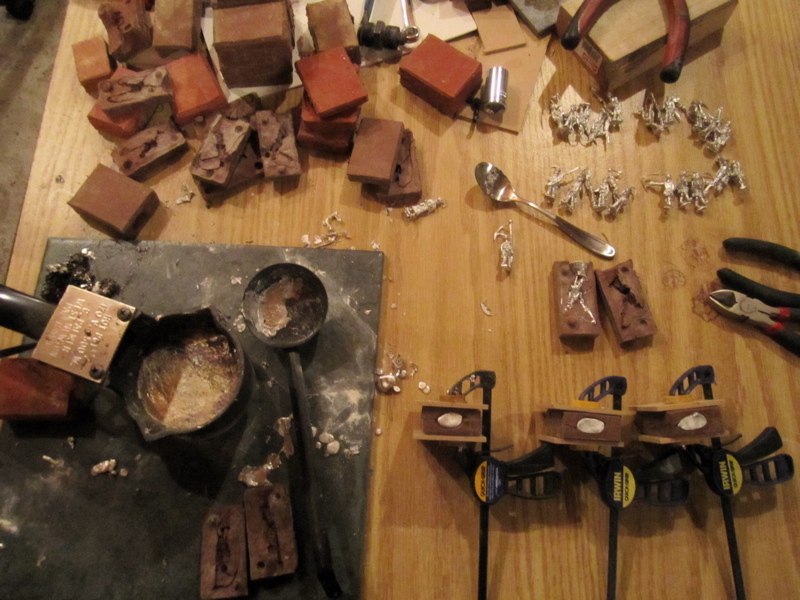 Totally didn’t get to this yet… Hopefully today I’ll get to casting up the next batch. #3 Finalize plans for terrain. Too busy painting and organizing other things, didn’t get to this. I’ll definitely get to it this week. #4 FINISH CLEANING THE TABLE!!! 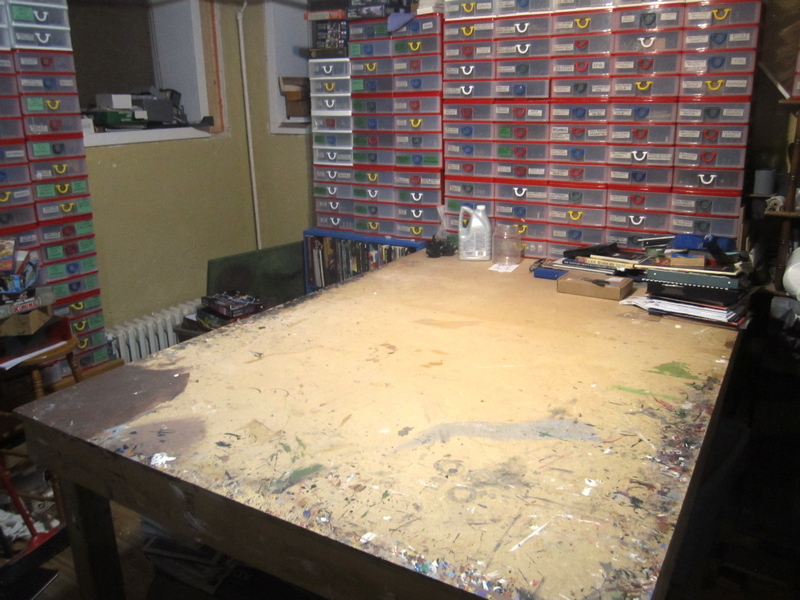 4th Division Terrain – ready for some refurbishing. Detail of the 4th division terrain. #1 Cast, base, prime and goop remaining Germans. 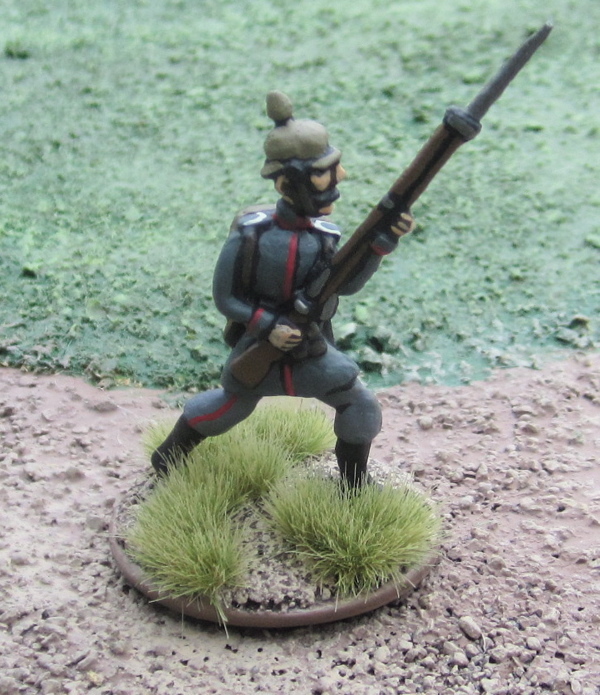 #5 Reorganize Germans – repaint collars on old 261 Reserve Infantry Regiment to match collars on 11th Bavarian Infantry Regiment reorganize those two regiments to form 11th Bavarian Infantry Regiment, Bavarian Reserve Infantry Regiment No. 1, and Bavarian Reserve Infantry Regiment No. 3. 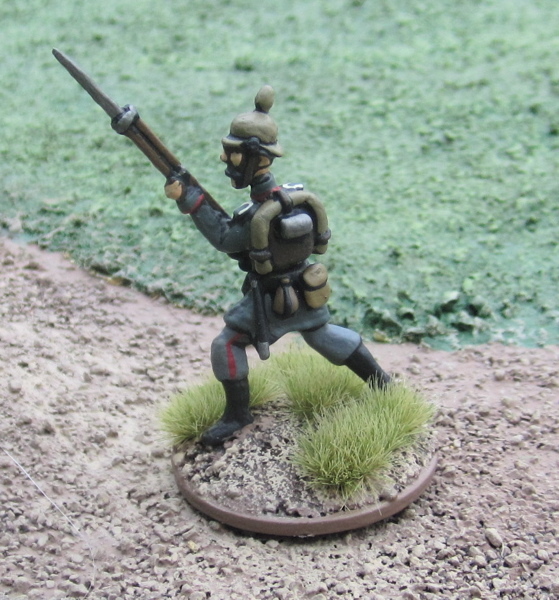 #1 Paint 45 Great War Germans to add to those painted last week and reorganize into 10 figure battalions to form the 3 regiments of the 79th Infantry Division. Build Terrain for 2nd and 3rd Division. 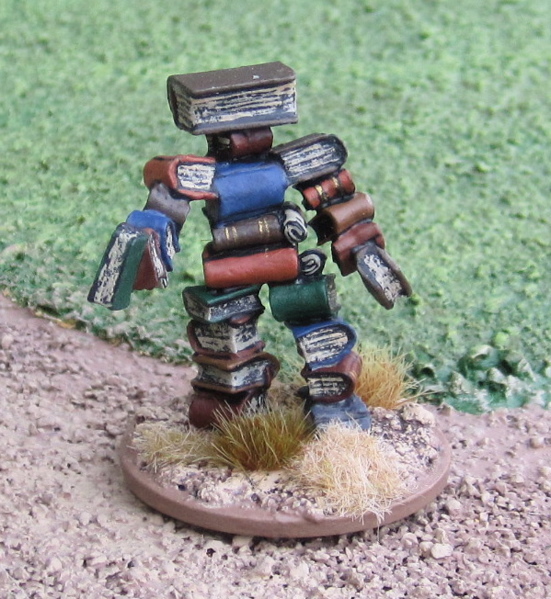 Book Golem, the King in Yellow, and a GREAT BIG POILUS! The King in Yellow! 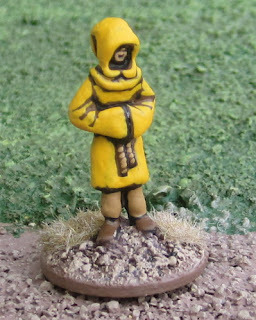 Well… maybe… Bruce, who DMs our (every other) Friday night Primeval Thule D&D 5E game asked if I had some cultists and a priest in yellow robes… I have loads of these generic cultists that I made ages ago, but none in yellow robes, so I thought I’d knock one off in yellow. I have a bad feeling this is going to end up being The King in Yellow! 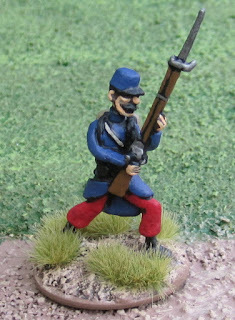 Another of my friend John’s Toy Soldiers - a 40mm Great War French infantryman. 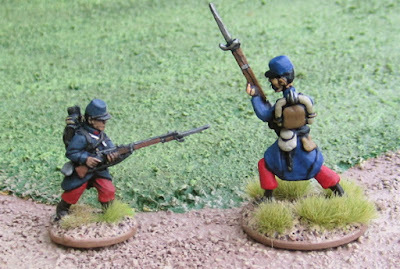 I actually painted a whole battalion of 1914 French in 40mm for John a few years back – in an earlier, less animated pose. This guy looks like he’s ready to stick to the hun! Here’s a picture with a 28mm Great War Miniatures for comparison. As promised a German regiment, all painted in one week- Whew! Well.. the infantry, at least. I will have mortars and machine-guns to add at some point. I’m not sure I can keep this pace up for too much longer! Luckily I don’t have too many more weeks like this planned. This is the second regiment in the 79th Reserve Infantry Division. I have already completed one of the other regiments in the division: 261st Reserve Infantry Regiment. All of the figures used in this regiment were homemade. I madolled the masters, made moulds, and cast them myself – and, of course, painted them! 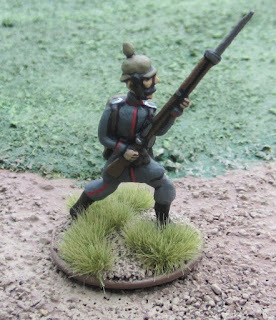 (at least all the infantry figures presented here – the Mortars and Machine guns I will add will be commercially produced minis). 262 Reserve Infantry Regiment – 79th Reserve Infantry Division. “Street Zulus” from Casting Room Miniatures. 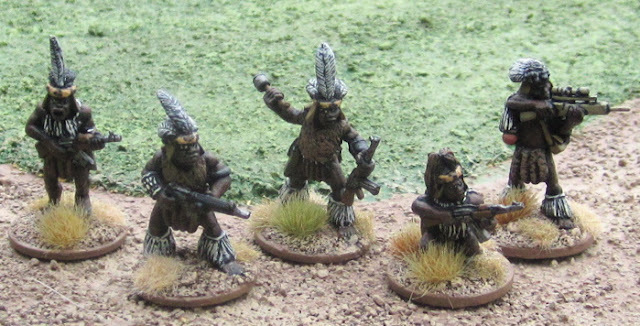 I originally started painting these back in October when I was finishing up Zulu units to hopefully play The Men Who Would Be Kings. 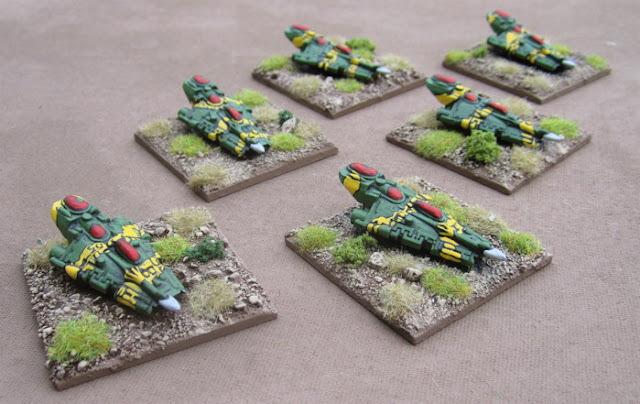 They were about 90% completed when I lost interest in them/go busy with other things – but they were so close to being complete I couldn’t bring myself to put them back into storage any time I was clearing off the workbench. 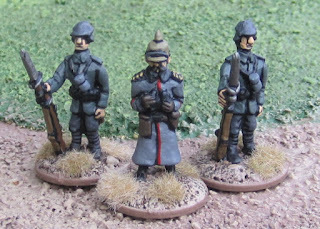 Actually when I grabbed these and decided to finish them up I realized one (the crouching fellow) was actually DONE – except for his base – I just hadn’t put on finish or did his base because I was waiting to do it along with the others. The others simply needed a feather or an ammo pouch to be finished up. This is a 40mm Great War German that my firend John made. He was casting a bunch at my place as he’s in gypsy mode as all his casting supplies are locked away in a container somewhere and left a few for me to paint. Maybe someday I should get back to finishing MY OWN 40mm figures! 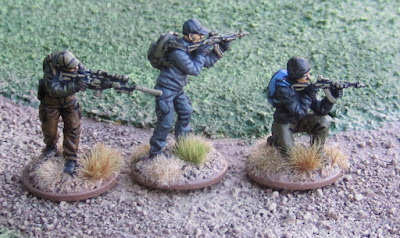 Three Operators from Spectre Miniatures. I just picked these up last week from a local fellow that posted them on the Saskatoon Miniatures buy and sell facebook page. 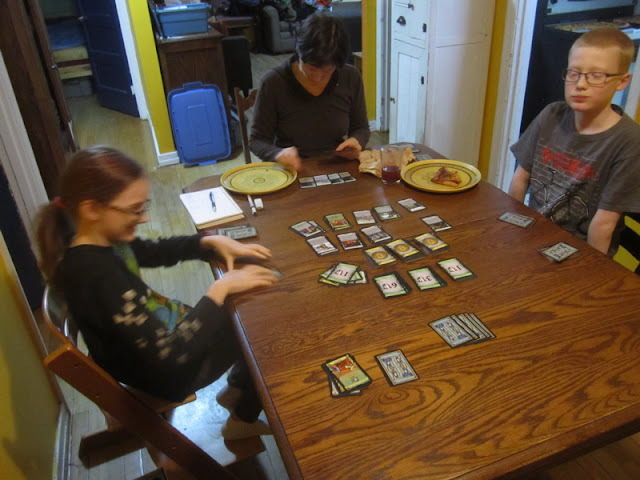 He apparently got them and some others and the Spectre Ops rules in a kickstarter. I’d seen Spectre Miniatures and thought I’d definitely like to check them out when I get back to working on modern subjects, so when these (and the others) showed up I couldn’t pass them up. I also got the Spectre Ops rule book with the figure lot. I don't know that I'll ever play them, but it's a fabulous book to look through - just for all the full-colour photos of all their pretty miniatures! 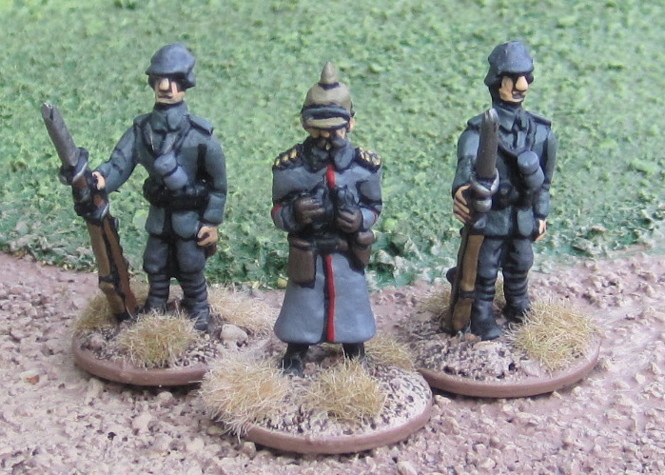 I’ve actually finished up the first of the three battalions of Germans for this week. I may or may not post them in the next day or two (I may just wait until the entire regiment is done and post them all together on the weekend…?). I was kind of going with a “lost patrol” theme and using elements of both my Valhallan and Cadian Imperial Guard paint schemes. The Micro Eldar War Host so far… Currently I figured this out to be about 4000 points – not including the harlequins (which I don’t have stats or points for just yet…). That should be enough to play a small game against a few of my Marines. As mentioned in the Weekly Vimy Countdown post here is the final battalion for the 4th Brigade (2nd Canadian Division). 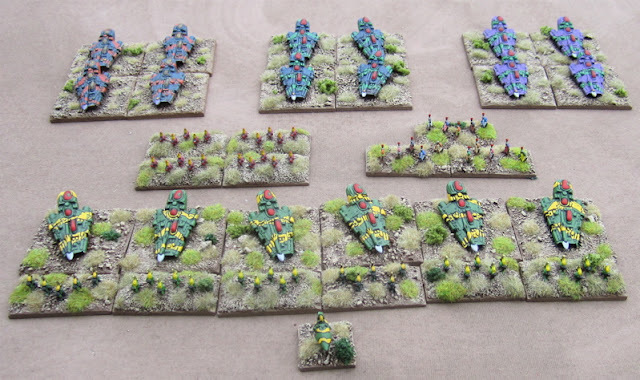 As with the other battalions in the 4th Brigade (18th, 19th, and 20th battalions), all the miniatures are from 1st Corps. The formation patch for the 21st Battalion was a green square surmounting a blue patch – the blue patch was for the 2nd Division, the square indicated the junior battalion within the brigade and the green indicated the senior brigade within the division. I also have two stretcher-bearers I need to finish up from 1st Corps. I thought I could use them as casualty/morale failure markers for the 4th Brigade… (I just hope more than two don’t fail morale at once!). Once I get those done I’ll do a picture of the entire Brigade. I just need to finish up the 6th Brigade to complete the Division, but for that I have to wait for my order from Irregular Miniatures (I am told it should ship shortly!). In the meantime I shall get cracking on some of the GERMANS! More Sci-Fi Distractions, maybe a post about other recent games, and, hopefully by the end of the week, a regiment of GERMANS! I had hoped to post this little update last night, but Game of Thrones Season Six arrived at the local library for me and so Amanda and I watched the first four… or five… maybe six...? 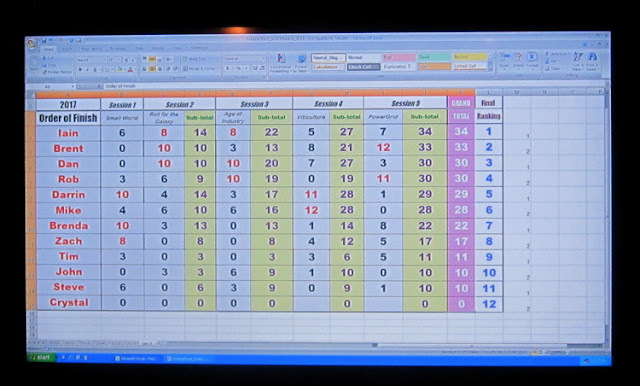 episodes last night…. and it was just to late to sit up and crank this out..
#1 Paint the last battalion of 1st Corps figures to finish off the 4th Brigade. CHECK! Here they are having just gotten their grass last night. I haven’t had a chance to get out and take pictures of the battalion and properly post them, but they’re done, and I should be posting them later today or tomorrow. 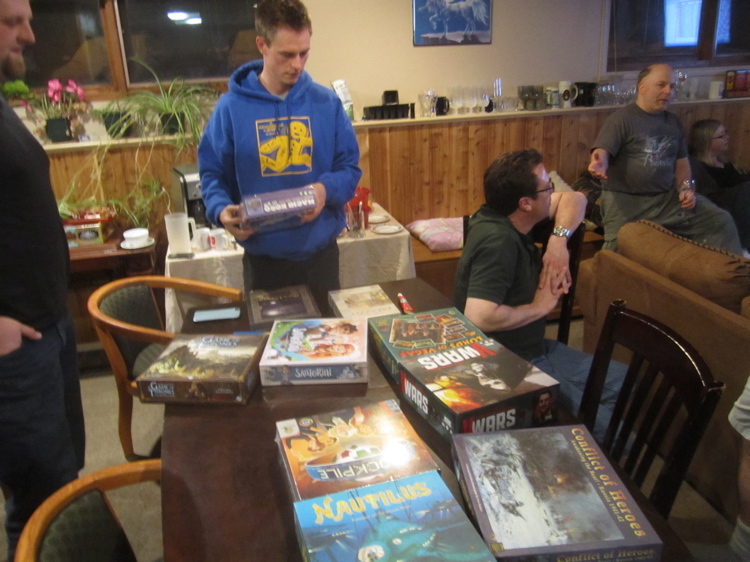 #2 Order the last brigade of miniatures I’m going to use as Canadians. CHECK! Ordered and I was informed this morning by email that they shall be shiping via courier, shortly. CHECK! Got out and cast up a bunch Friday evening. CHECK! 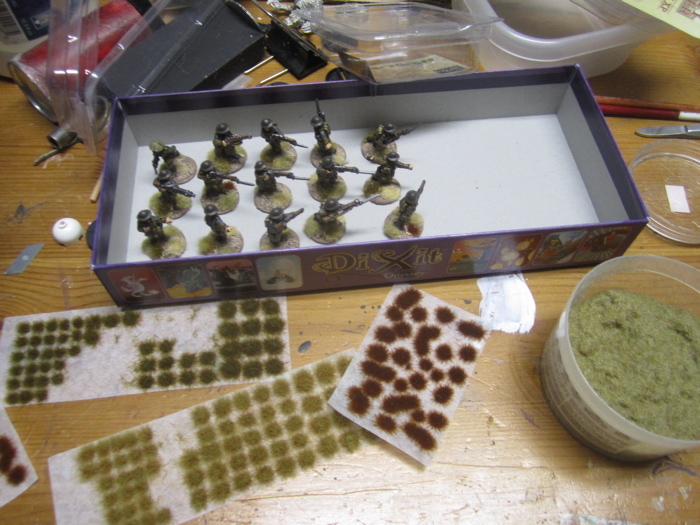 Well… almost… I got one battalion prepped and glued to bases Friday and realized I didn’t have enough washers. So Sunday afternoon I nipped out to get some more and while “watching” Game of Thrones last night I prepped and based the other two battalions and primed the first. #4 FIND MY MAPS (the PLANS for the terrain!)!!! CHECK! Maps located… whether I’ll be able to figure out WHICH ones I used for the original four terrain squares and exactly how I was originally planning. 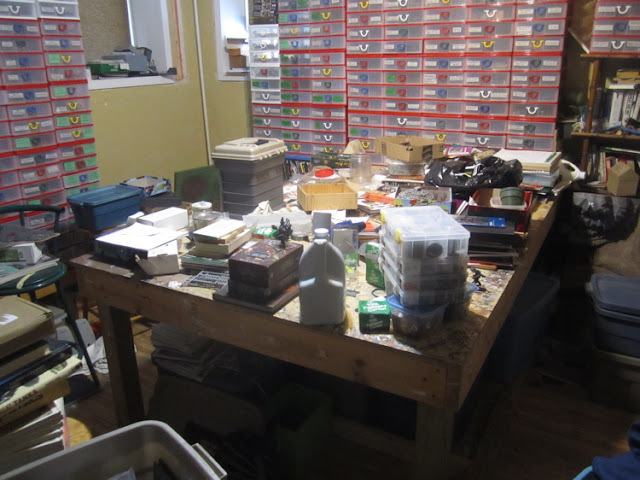 #5 Clear off the giant Hobby table in the basement – so I have some SPACE to make some terrain! #2 Finalize plans for terrain. I meant to post this on Sunday, but just didn’t get to it. Sunday was exactly 12 weeks to 9 April 2017 – the 100th anniversary of the Canadian Corps assault on Vimy Ridge, I thought post a status report on the project and a list of things to do and then for the next eleven weeks I’d post weekly updates on how things are going. 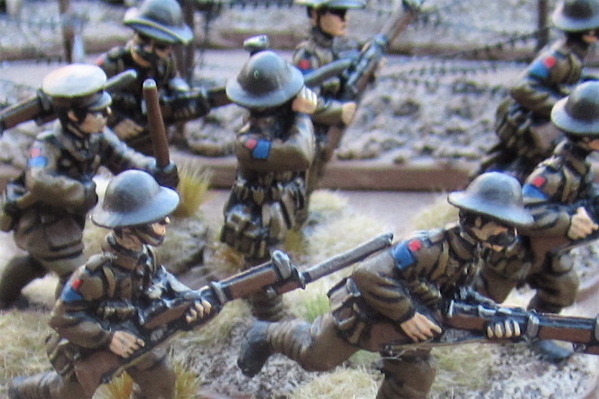 I have completed 39 battalions of Canadians and six battalions Germans. That’s 675 figtures right there – plus most of the Canadian machine-gun teams – at least 10 of the 16, and a few German ones as well - puts us well over 700. I’ve tried to keep the Great War Gallery up to date – so you can see most of them there (though I STILL haven’t gotten to taking pictures of any of the 4th Division. 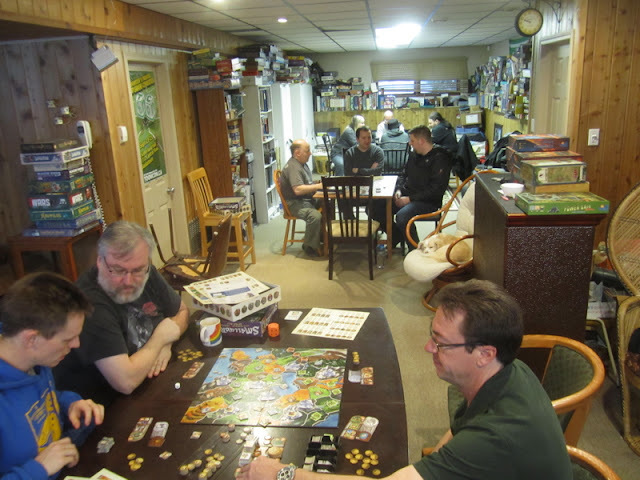 Of course I need 48 battalions of Canadians – which leaves 9 still to do and another 9 battalions of Germans… and a fair few German machine-gunners and mortars and such. I memory serves me I need 18 2’x2’ terrain boards to complete the ridge – only four of those are (sort of) done at the moment. I also need to make a lot more wire… and maybe some barrage markers...? 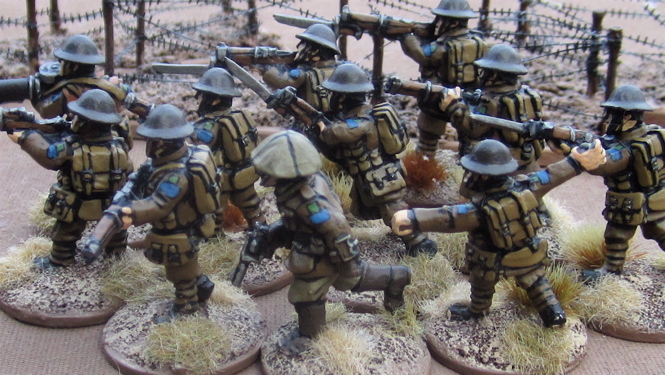 a) Paint the last battalion of 1st Corps figures to finish off the 4th Brigade. b) Order the last brigade of miniatures I’m going to use as Canadians. 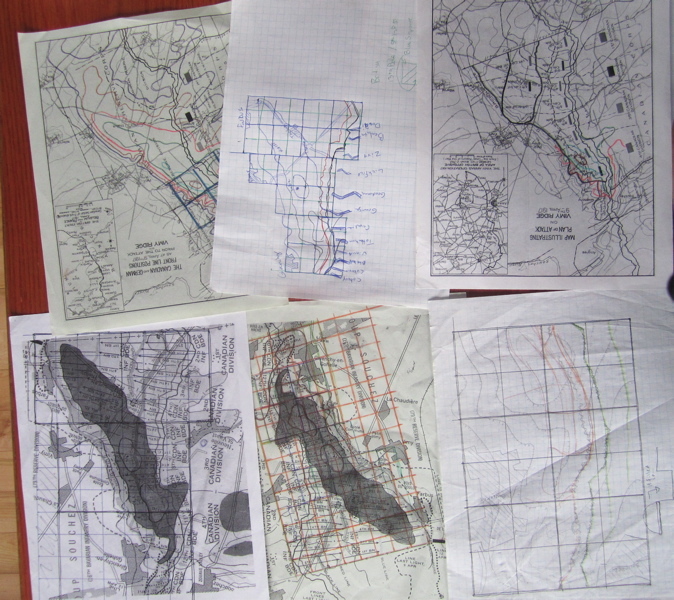 e) FIND MY MAPS (the PLANS for the terrain!)!!! f) Clear off the giant Hobby table in the basement – so I have some SPACE to make some terrain! b) Base and prep three more battalions to paint the following week. 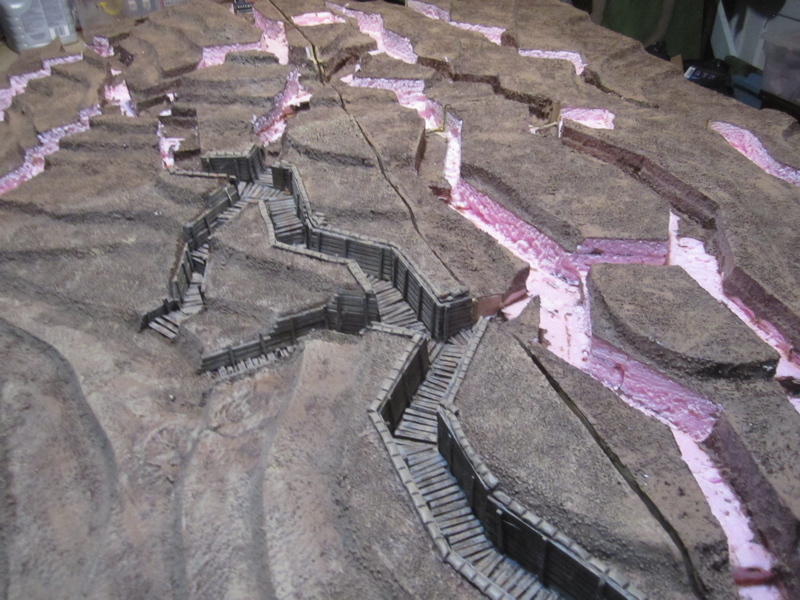 c) Finalize plans for terrain. Paint 3 battalions of Germans/ week for the first two weeks. Paint final battalion of Canadians and any extra MG and Mortar teams left to paint. 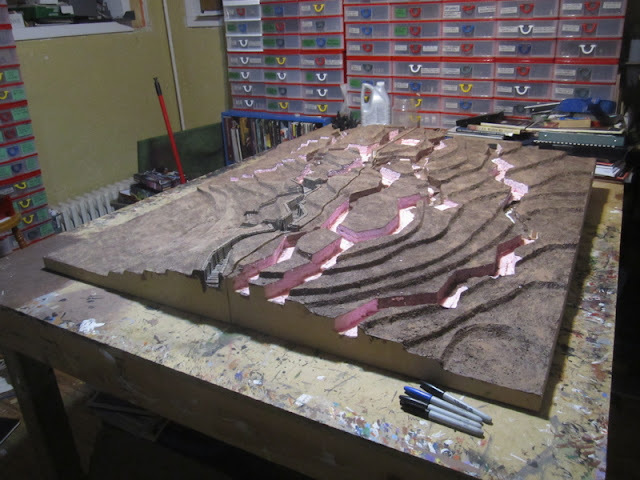 Lot to do, but doable… I hope… Might need to recruit the kids to help out with the terrain making. The Girl is at least excited to help out with that sort of thing. Back with a few “Epic scale” Eldar I finished knocked off Saturday evening. (I also worked on some great war stuff and was waiting for green stuff to cure before painting, so I cranked out a few of these guys. I had been freaking out a few weeks back wondering where my Future War Commander book had gotten to and finally asked Other Tim if he had a copy (or if maybe I’d loaned him mine…?) and it turned out I had. H returned it to me this week and I’ve been a little distracted reading through that again and trying to remember how it worked and how units were organized and did some costing out of things. Apparently I have WAY more Marines than I could ever hope to have opponents to fiend the entire force against!? Remember that unit of Terminators I finished last month? Yeah those four elements of Terminators and an HQ are over 1000 points – not including their Land Raiders!? Granted that is probably the most pricey unit in the force… but still, I have a LOT more Marines… Not so much of anything else. 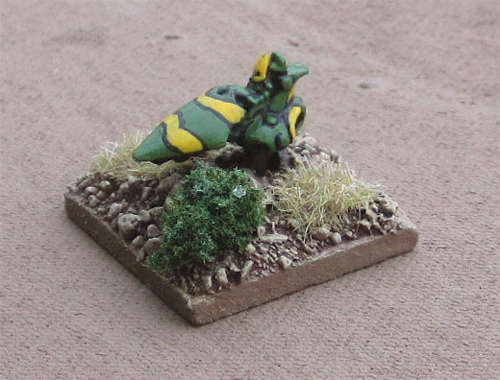 I thought when I had pare moments I might finish up a few Eldar things – here and there. I do have Orks, but I have to paint SO MANY to be any match for the Marines. I figured the Eldar are closer to being able to going toe-to-toe with them. Actually only two of these elements are newly painted. The other four elements were painted when I got them and I decided they were painted well enough I’d leave them and just rebased them. I had two other elements of Stinging Scorpions that I recently tried to paint to match them – can you tell which are mine? 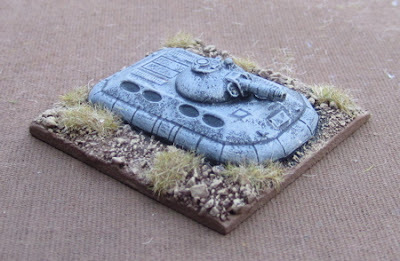 Old School Falcon Grav… Tanks…? I always think of the Falcon as a “Tank” but it’s really more of an IFV, isn’t it? I thought I’d paint the tanks to sort of match the colour scheme of the infantry they’ll carry. I also have a fair few Grav bikes (or where they Jet bikes..?) I though I’d use them as HQ elements and have likewise painted it to match the general scheme. 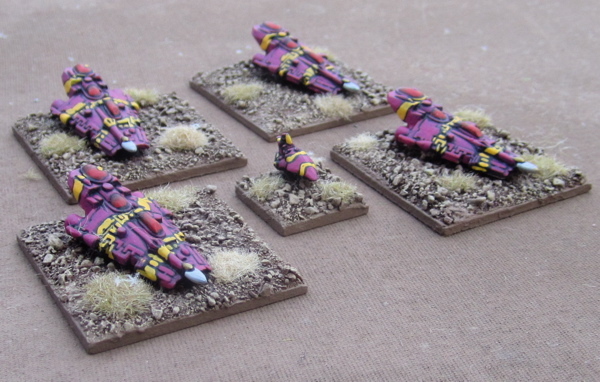 Among the other elements painted so far are four elements of Fire Dragons, 3 Elements of Harlequins (sadly there seems to be no stat line for Harlequins in FWC…), and 12 more Falcon IFVs. The Fire Dragons and Harlequins weren't painted by me - I got them with the Striking Scorpions - and they were nice enough that I just re-based them. I see now I've changed how I painted the Falcons. I'm going to have to do some touch-ups on them - including the ones I just did! the one unit with the gold canopies I'll re-do to match the red ones of the other units, and I just realized that there's a gold bit on the shooty-laser-blaster-stick-thingie that I missed on the ones I just painted. Not that I'm going to do any more work on these right away, I'm wondering if I should do some Falcons to match the Fire Dragons next, or some infantry to go in the other Falcons I have painted. Guardians or Dire Avengers...? A brief update on the status of the Vimy Project. 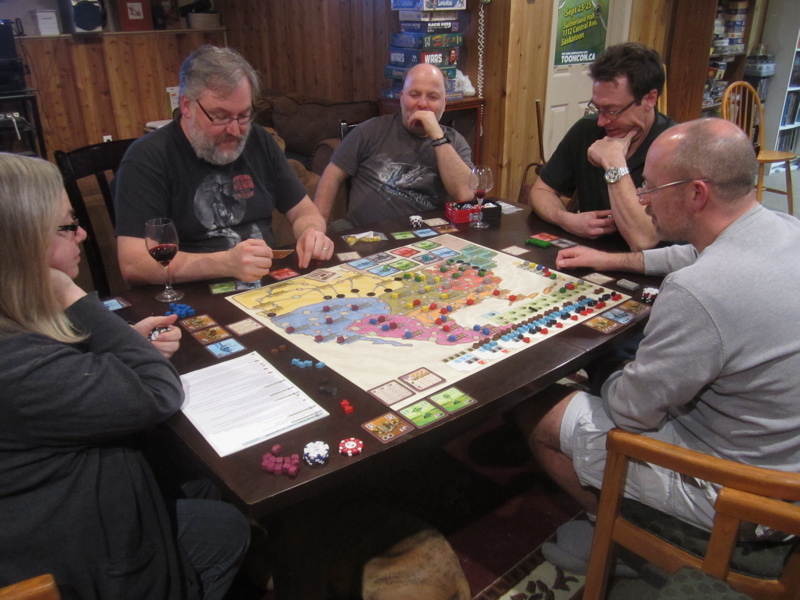 I just noticed the BGG widget on my blog doesn't seem to be working anymore - rather than showing the lasted games played it's currently showing a smattering of games played over the last few weeks...? Weird. 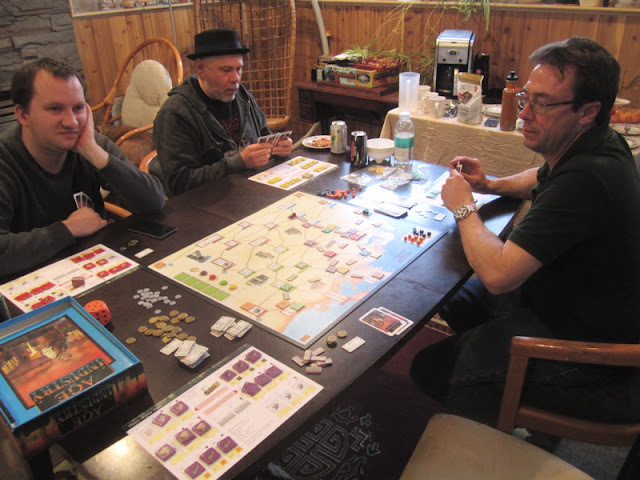 SO many different ways to score points in this game - it's a little overwhelming trying to figure out where to even start. I thought I was doing well, but I think Amanda won in the end with a HUGE amount of points from having a near complete set of market goods and the second most number of viziers and a couple of really high point tiles (15?). Finnegan and I came down with colds on Sunday and were sick all week - still sick actually. Keira and Amanda finally picked up the colds later in the week. 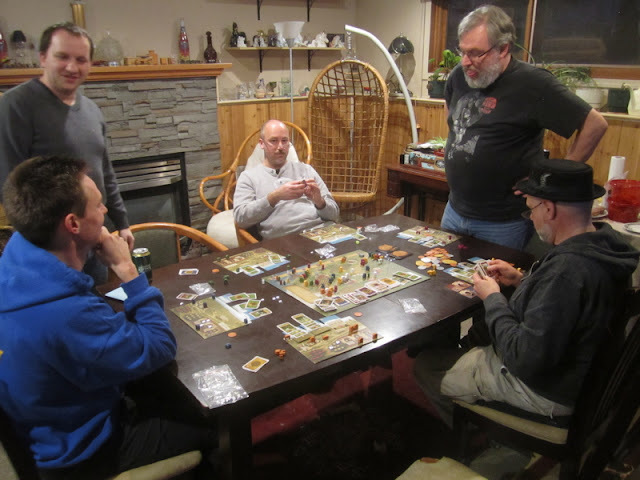 You'd think being sick and not going anywhere we'd have played more games... but we didn't... we did get a bit of reading and movie watching done! Wednesday we started in on our Game Lists - One of the Girl's choices was For Sale. It's a quick game so we played it twice. On Friday we played Legendary: A Marvel Deck Building Game - Finnegan's pick for the week. There isn't a lot of thought or strategy to the game, but I actually don't mind it. 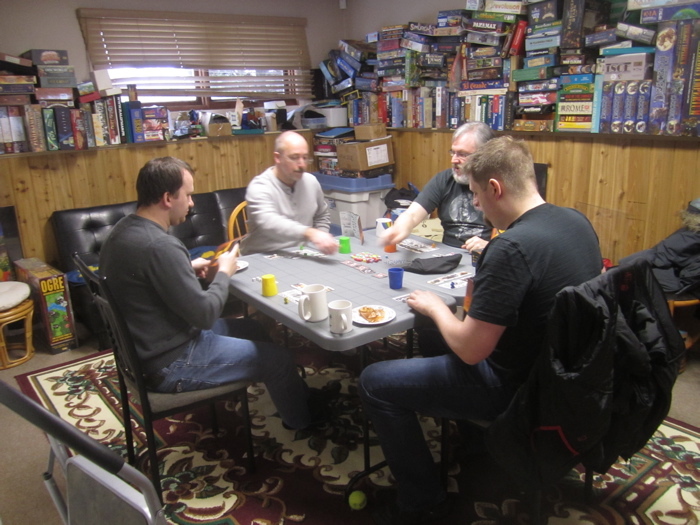 It's a fun time-filler and usually presents enough of a challenge that there's enough tension to make it interesting. In the evening while I was making pizza we played Dominion: Intrigue. SOMEONE was taking forever doing their turns and so the pizza was finished before we finished the game and because the pizza was... er... a bit late, Finnegan ended up having some pretty low blood-sugar and had to just start eating.... and Amanda started eating... and despite them having a napkin to wipe their hands on after each munch I couldn't help getting a little upset imagining my BRAND NEW Dominion cards being slathered with pizza grease!? Intrigue was fun. 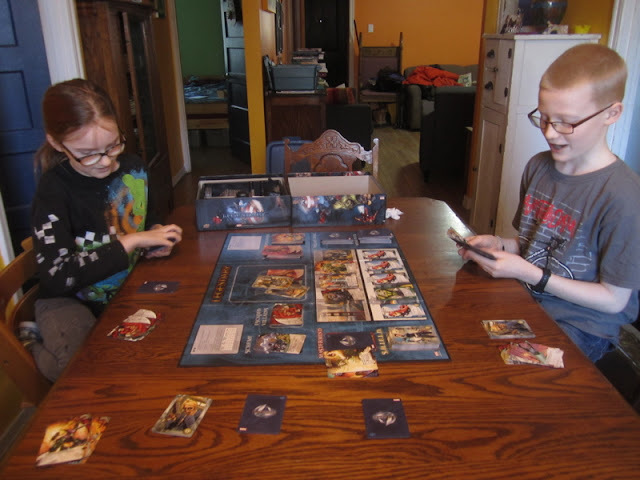 I've played with others copies of Intrigue (at the last two ToonCons) but ended up uaing a lot of new cards we hadn't used before and so it was a lot of fun figuring out how they worked. 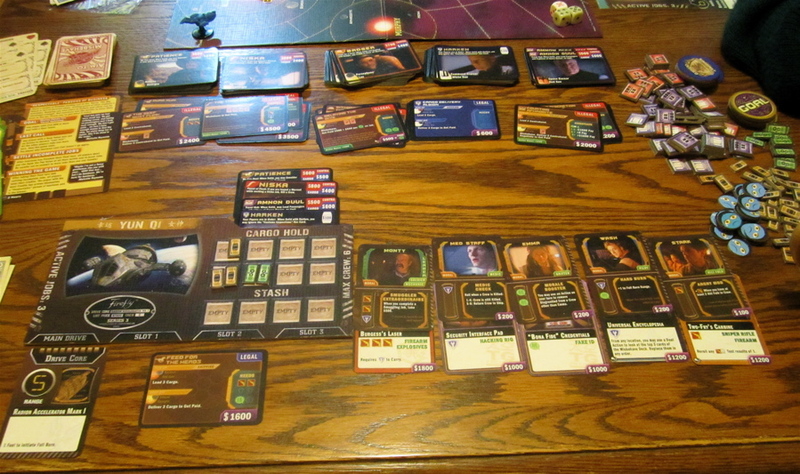 On Saturday - for the third Saturday in a row - we played Firefly: The Game. This was my pick for the week. 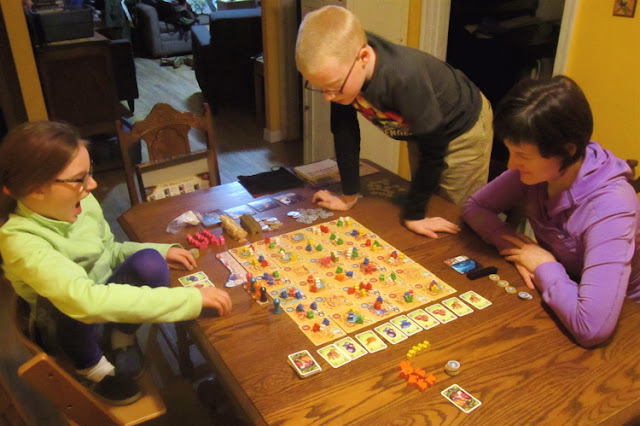 Originally Finnegan and I were going to play it with our friend Brent while Amanda and The Girl were out at dance classes all day (as we usually do). But being all sick and stuff we called it off so as not to get Brent sick. 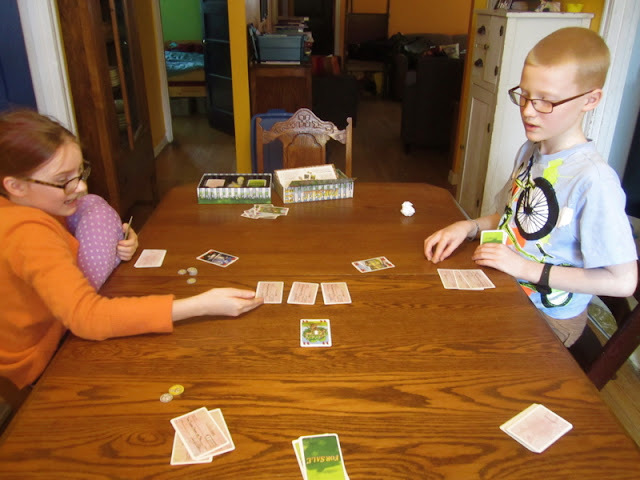 Then Amanda and The Girl played hooky from Saturday dance classes (being sick and all) so we decided to go ahead and play with the four of us together - gurgling and coughing and blowing snot out of our heads. This time we played the "'Respectable' Persons of Business" scenario - which was more or less, the first person to 12000 credits with no active or jobs in hand would win. (Actually it's once you get to 12000 credits you can take a goal token and once you have a goal token, on your turn, as an action, you may declare "last call" - after which everyone gets one last turn and then you count up your money and minus the cash value of any jobs you have in hand and who ever has the mostest wins). Amanda won. Finnegan had over 14000 credits, but had 7000 in jobs in his hand, so The Girl came in second with about 10000. This afternoon we'd planned to play Olympus (Amanda's pick of the month) and kick off Skirmish Sunday Night (it was decided that on Saturdays we'd go climbing at Grip It - because it's open on Saturday evenings and those are really the only evenings we had free as a family - so climbing Saturday, skirmish/role-playing games on Sunday...). But Amanda looks like she wants to sleep all afternoon - hopefully we'll all play Olympus this evening and maybe kick off Skirmish Sundays NEXT week... That's okay, because i didn't really have anything concrete planned yet... I'm kind of torn between a few options. 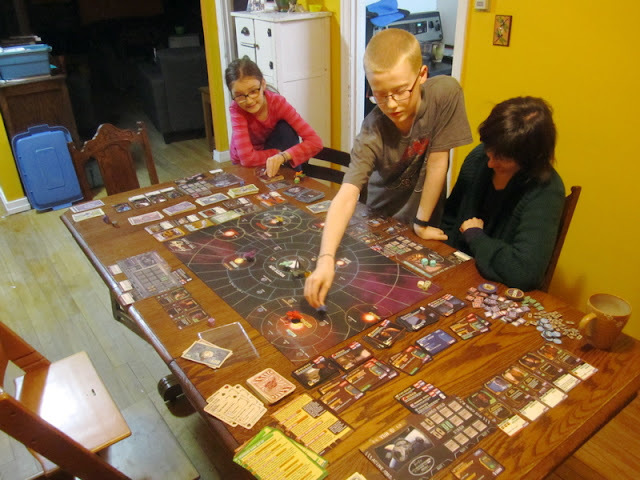 If all goes according to plan we'll play Big Book of Madness on Wednesday (The Girl's pick for the week) and Rave for the Galaxy on Friday (Finnegan's pick for the week). Saturday I am at my friend John's all day playing at Freezerburn - his annual invitational game day. 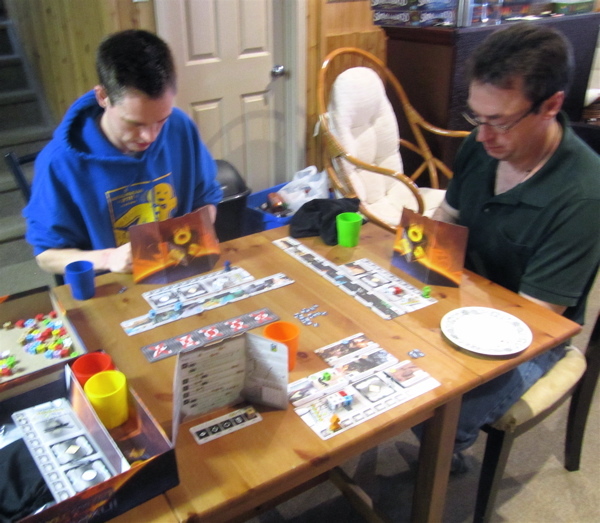 I went to the first Freezerburn back in 2011, before I was really into playing board games. I was supposed to go and play in 2015, but the ended up spending five days in hospital with crazy high blood pressure. Last year John forgot to send me an invite and it filled up before I got around to asking him when he was going to send out invites... so... HOpefully I'll have seen the back end of this cold by Saturday and be in on the action this year!! Countdown to Vimy - an update on the status of the project. Some pictures of the latest "micro-distractions". This is the 26th Battalion (New Brunswick), CEF. As with the other battalions in the 5th Canadian Infantry Brigade the miniatures are from Gripping Beast/Woodbine Design. The formation patch for the 25th Battalion was a red square surmounting a blue patch – the blue patch was for the 2nd Division, the square indicated the junior battalion within the brigade and the red indicated the second brigade within the division. This finishes up the entire 5th Brigade, so I thought I’d take a picture of the lot of them. 5th Canadian Infantry Brigade, 2nd Canadian Division, Canadian Expeditionary Force. The other battalions in the brigade are the 22e Battalion (Canadien Français), 24th Battalion (Victoria Rifles), CEF , and the 25th Battalion (Nova Scotia Rifles), CEF. This is the ninth Brigade I have completed for the project. I am on battalion away from finished the tenth, I have two more to do.